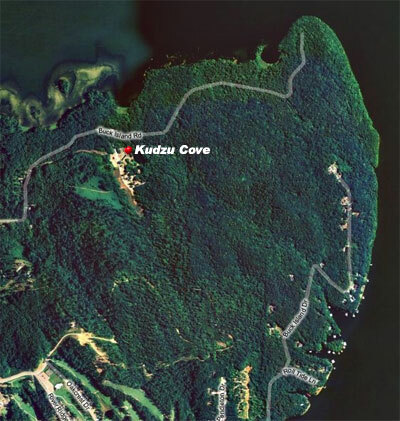 Kudzu Cove is conveniently located just a five minute hike to the shore of the Tennessee River. 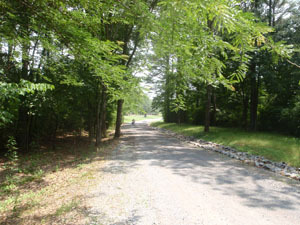 You can easily walk or use mountain bikes through Kudzu Cove to go out and explore over 350 acres of undisturbed wooded trails through the forests or to the banks of the Tennessee River. 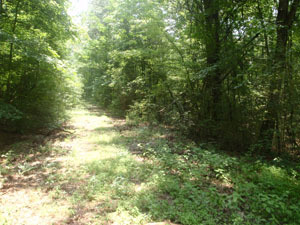 This forest is the heart of Guntersville’s Hidden Treasure and for anyone who enjoys the tranquility of being out in your own area of the woods will find Kudzu Cove a special place. You can easily explore new trails and find views with your children or friends with new adventures you will always remember. 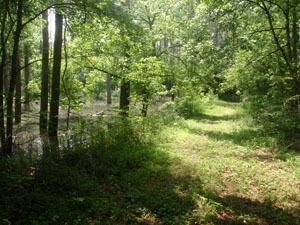 These are just a few of the sights you will see on hikes from Kudzu Cove! BE PREPARED: You should always prepare for a hike or adventures in the woods by bringing your own food, water, first aid kit, and make sure you advise others of your destinations and planned return times. Be advised that Kudzu Cove grounds and the adjoining State and TVA property do not allow 4 Wheel Drive vehicles. Always carry back out all trash from a hike to keep the woods clean and Green! Kudzu Cove is a fantastic starting point for Kayakers and Mountain Bikers. Bring your gear and find your own routes around Buck Island! Some area maps can be available upon request. Geocaching is a great outdoor activity. It is a worldwide game of hiding and seeking treasure. A geocacher can place a geocache anywhere in the world, pinpoint its location using GPS technology and then share the geocache’s existence and location online at www.geocaching.com. Anyone with a GPS receiver can then try to locate the geocache. Geocash Locations are from easy to difficult! 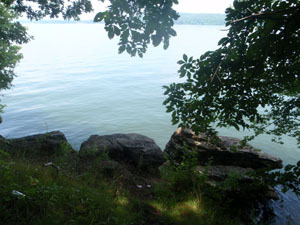 Geocaching is a great family activity to do on Bucks Island!